Budapest has, through time immemorial, been an organic habitat for musical talent. Internationally noted composers such as Ferenc Liszt, Zoltán Kodály, Béla Bartók, Ernő Dohnányi and Imre Kálmán as well as the opera composer Ferenc Erkel all hail from Hungary. The award-winning multi-hall edifice on the southern bank of the UNESCO World Heritage-listed Danube waterfront brings together the many and diverse disciplines of the arts by providing a home for classical, contemporary, popular and world music, not to mention jazz and opera, as well as contemporary circus, dance, literature and film. Featuring state-of-the-art infrastructure, the building is also highly versatile and equipped to host performances of any genre and almost any scale. 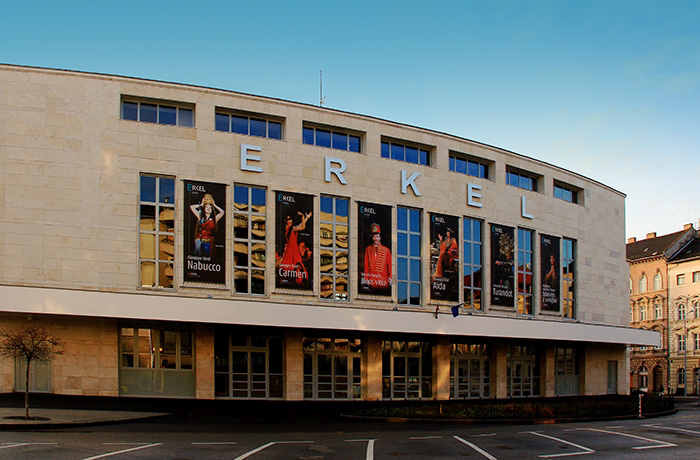 The organ in the Béla Bartók National Concert Hall is ranked among the largest concert hall organs in the world. Recently renovated, the Academy’s concert halls are now once again resplendent with all the spectacular ornamentation and patina that an iconic institution deserves. The Academy was founded by Franz Liszt in 1875. The Grand Hall has unparalleled acoustics, and remains a legendary concert venue in the Art Nouveau conservatory (1907) in Liszt Ferenc Square. Since its reconstruction, the institution has also organised its programmes independently and earned a reputation globally not just as a university but a concert centre in its own right. 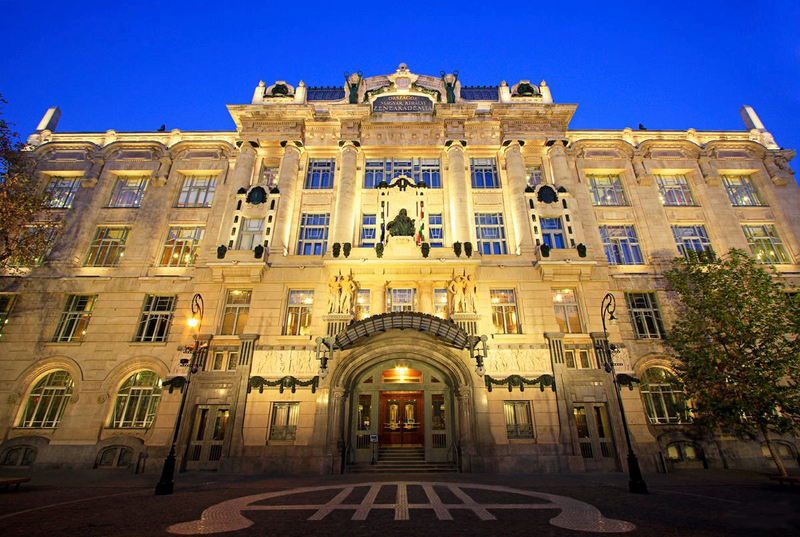 Over the years, the Liszt Academy has extended invitations to major domestic and foreign stars such as Steve Reich, Joshua Bell, Steven Isserlis, Pekka Kuusisto, Isabelle Faust, David Lang, Jordi Savall, Chick Corea and Denis Matsuev. 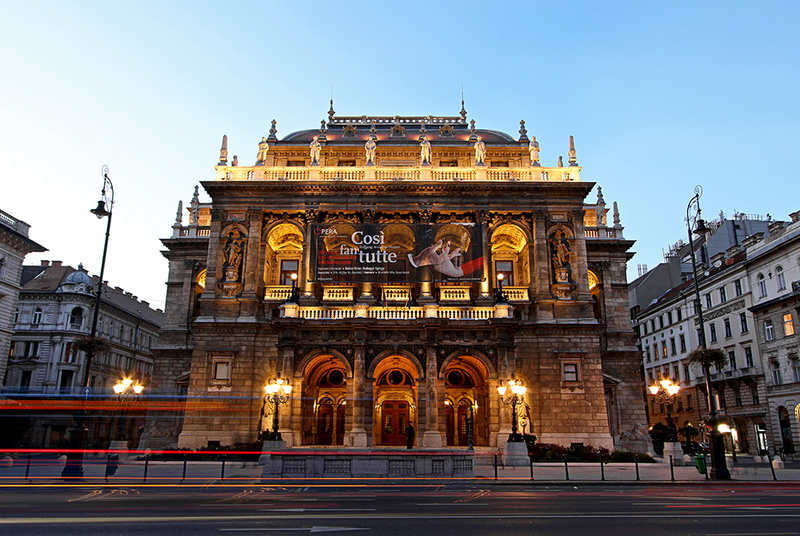 Originally commissioned and funded by Franz Joseph I of the Austro-Hungarian Empire, the Hungarian Opera House has throughout history set operatic standards high in its spectacular neo-Renaissance building. This legendary opera house is closed for renovation until 2019. Its branch, however, Erkel Theatre, which opened in 1911, remains open, and is staging stellar work in its recently refurbished space. Verdi’s “Requiem” and “La Traviata”, Gluck’s “Iphigenia in Aulis”, Meyerbeer’s “Les Huguenots”, Donizetti’s “L’elisir d’amore” and the premier of Rossini’s “L’Italiana in Algeri” all feature English surtitles. On some days, you can also take advantage of children’s music education a la the noted Kodály method, at 11:00am. Address: 1087 Budapest, II. János Pál pápa tér 30. 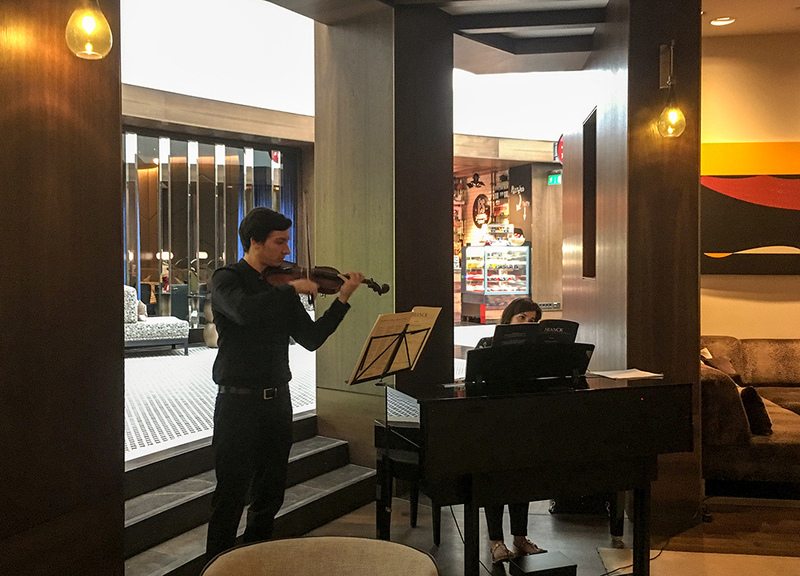 The most talented music students of the Academy perform at The Living Room, on Saturdays at 5:00pm, in the hotel’s Stage for Young Artists series. The concerts last about 30 minutes.